A significant number of patients collapse at home in the presence of the doctor, while a further proportion actually suffer a cardiopulmonary arrest at the doctor or dental surgery or indeed in a public place. 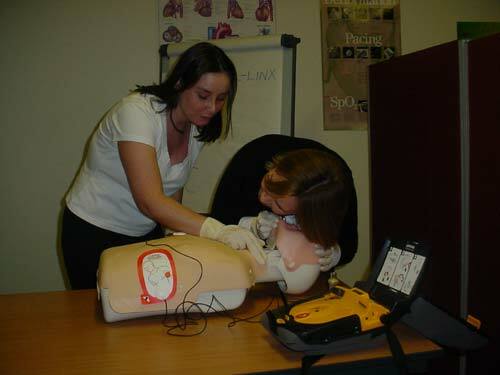 All health care workers and first responders in the community who may encounter a cardiopulmonary arrest should be trained in defibrillation and safe resuscitation techniques as appropriate. The Resuscitation Council (UK) recommends "It is unacceptable for patients who sustain a cardiopulmonary arrest to await the arrival of the ambulance service before basic resuscitation is performed and a defibrillator is available". 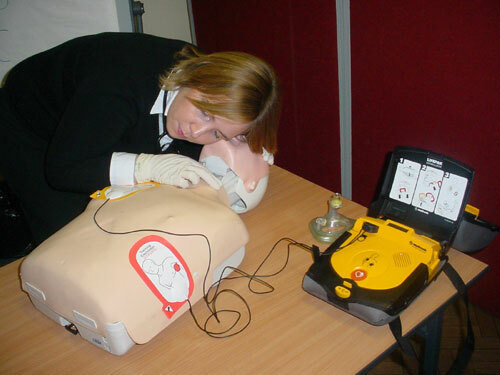 Advances in defibrillator technology have produced a generation of machines called automated external defibrillators (AEDs) that are relatively inexpensive, easy to use and which require minimal maintenance. A handout covering the current Resuscitation Council (UK) AED guidelines is also available to all candidates. A certificate will be issued following successful assessment.